If you ask people about Scranton, you are likely to hear one of two things: the TV show “The Office” or coal. The area that makes up present-day Scranton was one of the last in Pennsylvania to be settled by Europeans, with the first settler not moving to the area until 1778. While anthracite coal was being mined both to the south and north, the initial driver of Scranton’s economy was iron and steel. 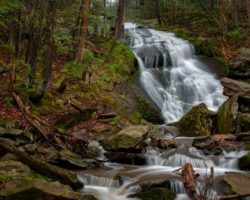 In fact, the Scranton family that would eventually give their name to the city came to the area to set up an iron furnace, which would become the largest producer of iron in the country by the end of the Civil War. Workers’ clothes on display at the Anthracite Heritage Museum. However, despite the initial dominance of iron, it would eventually be anthracite coal that would give Scranton its most prolonged period of economic success. While it was being mined nearby with success, coal was initially mined in Scranton to power the steam locomotives that carried the iron and steel produced in the city. All of this industry made the city’s population skyrocket from just 2,700 in 1850 to over 100,000 by 1900. The turn of the 20th century was also a turning point for the region, as the iron production largely moved out of the area, leaving anthracite coal as the main driver of the area’s economy in the coming century. 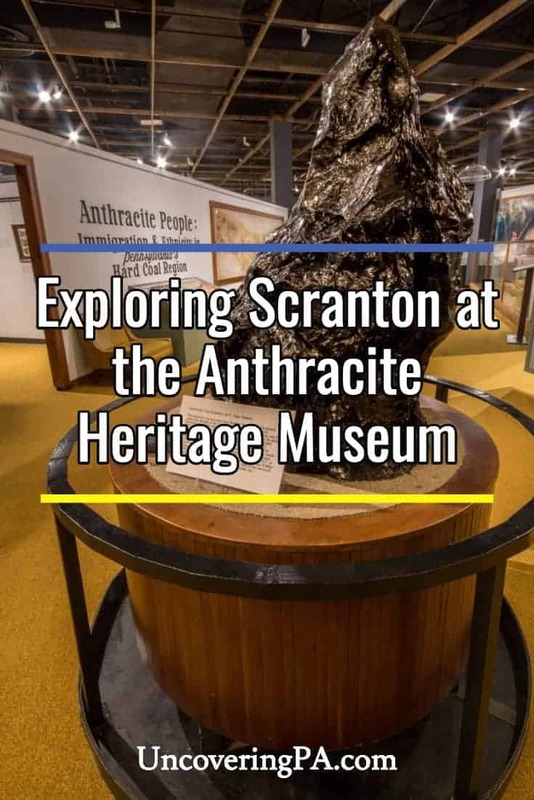 The Anthracite Heritage Museum is located on the outskirts of Scranton next to the popular Lackawanna Coal Mine Tour in McDade Park. Opened in 1976, the museum documents the region’s history in anthracite coal and how it affected the culture of the area. The entrance to the Anthracite Heritage Museum. 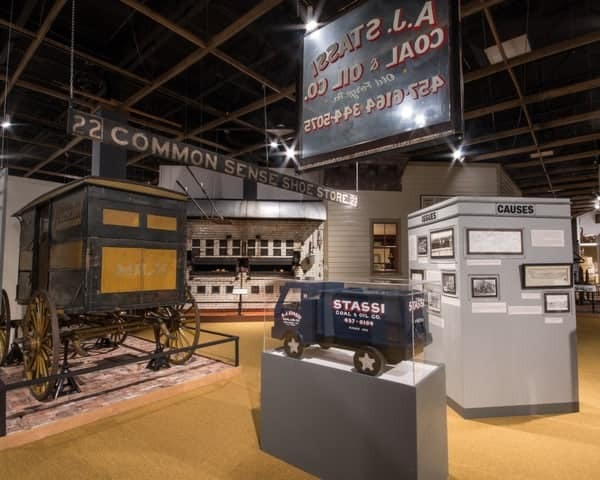 Visitors to the museum guide themselves through their excellent displays which cover a wide-variety of topics including the discovery of anthracite coal, the lives of immigrants to the areas, and even other industries that flourished in the region. 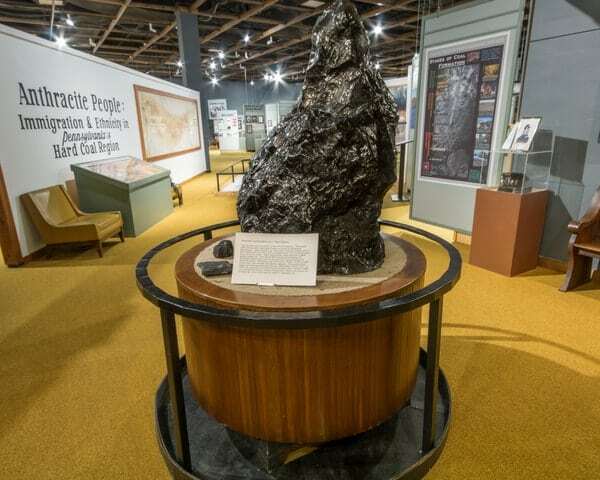 Visitors to the museum are met with a large piece of anthracite coal on a pedestal. While not immediately apparent, this is actually an art piece that was smoothed and sculpted by an artist. The museum also features several art pieces made out of coal including busts of two presidents, jewelry, and a police officer’s hat. A large anthracite coal sculpture greets visitors to the museum. The entrance to the museum is also home to an old Native American canoe. Found in a local lake by fishermen, the canoe has been preserved at the museum to show what life was like for those native to the region. 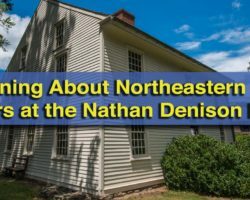 Next, the museum showcases information about the discovery of coal, the uses of anthracite coal, and how coal created the development of the transportation network in northeastern Pennsylvania. Displays at the Anthracite Heritage Museum. The museum’s second section focuses on the immigrants that came to the anthracite coal fields in the region. This is done through showcasing tools, both large and small, used in the coal mines, as well as information on mine jobs. Many of the larger tools, which are all authentic pieces, are set up in a way that helps better understand how they were used by workers. I was surprised to discover that the Anthracite Heritage Museum denotes a large amount of space to the textile industry in the region. Textiles came to the coal region as there was good transportation and a large supply of immigrant workers. A large loom on display at the museum. A variety of of textiles flourished in the region, though much of the museum’s displays focus on the lace industry. In fact, a large percentage of the pieces in the museum were salvaged from the Scranton Lace Factory, once the largest producers of Nottingham lace and the employer of Hillary Clinton’s grandfather, Hugh Simpson Rodham. 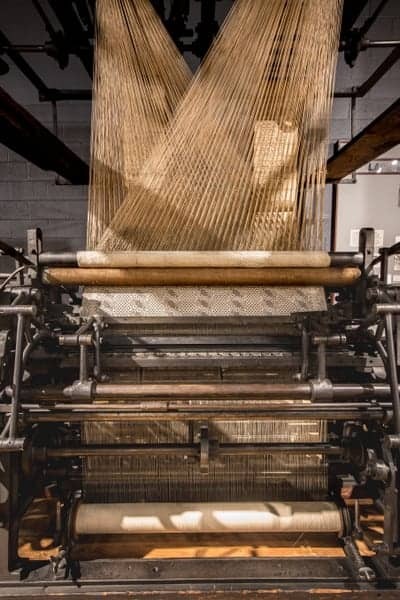 The displays of textile materials include large looms, spooling machines, and other pieces of equipment. These pieces help fill in the story of the region, as the factories employed many of the women and children of mine workers. 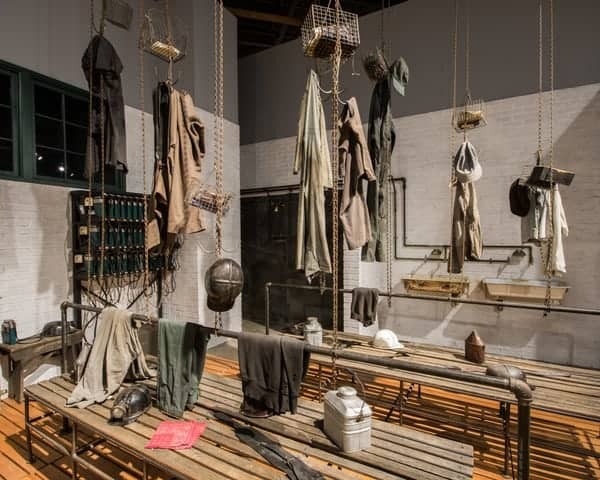 Beyond the textile displays, the museum focuses on life in the area during the late 19th and early 20th centuries. 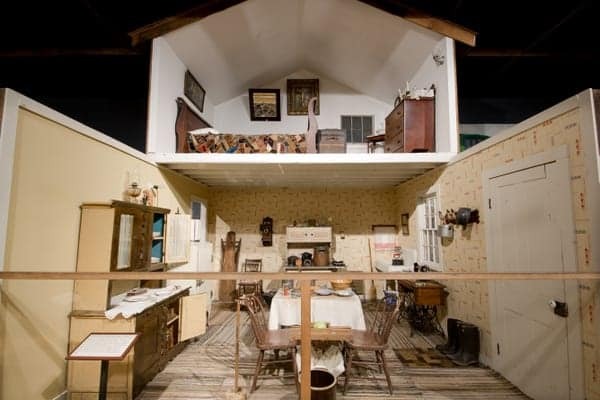 Visitors can peer inside a recreated immigrant’s home and see a church altar and pews taken from Berwick, Pennsylvania. A recreated immigrants house at the Anthracite Heritage Museum. In addition to the Anthracite Heritage Museum, they also run the Scranton Iron Works site in downtown Scranton. Built between 1848 and 1857, there are four impressive, stone furnaces located in this small park. Visitors to the park can walk around these furnaces, peer down into them from above, and read signage about the site and its significance to the region. The Scranton Iron Furnaces park is free and open the public daily from dawn to dusk. The historic Scranton Iron Furnaces are located in downtown Scranton. Overall, the Anthracite Heritage Museum offers a fantastic overview of the coal industry and what life was like in the region. 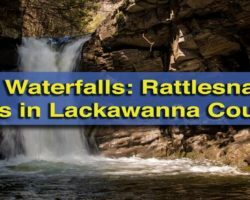 If you want to learn more, take a ride down into a real coal mine at the Lackawanna Coal Mine Tour which is located next door to the museum. 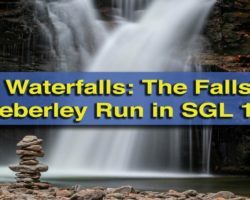 Further afield, the site also administers Eckley Miners Village, which is an authentic miners’ village and offers an excellent chance to learn what life was like for coal miners and their families. 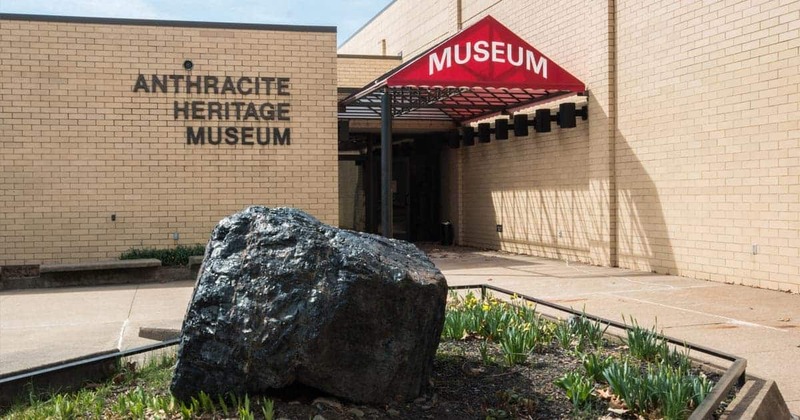 So, the next time you are visiting Scranton and Lackawanna County, take a trip to the beautiful McDade Park and explore the history of Pennsylvania’s Coal Region at the Anthracite Heritage Museum. 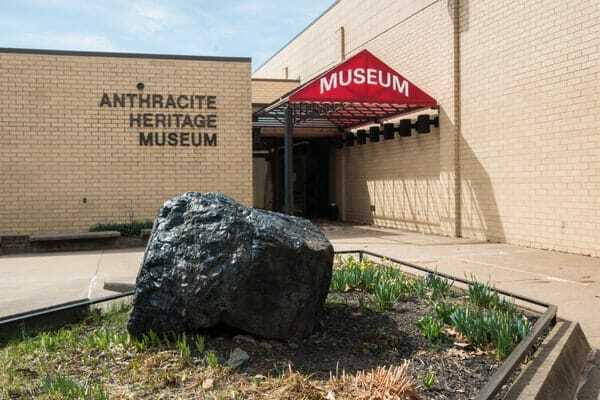 Note: My visit to the Anthracite Heritage Museum was hosted by the site. However, all the opinions stated in the article are my own. One clarification….Scranton was incorporated as a small borough in 1856, until it joined with other boroughs like Providence, Petersburg etc in 1866 to become the City of Scranton. So the population totals in 1850 and 1900 are a bit misleading as the later number takes in a much larger geographical area, not to say that it didn’t boom, my family immigrated in the later 1800’s.